Offering 200W per channel and a total of 14 inputs, the MA7200 integrated amplifier includes USB plus a phono stage for turntables. Its 14 inputs comprise eight analogue connections (i.e. 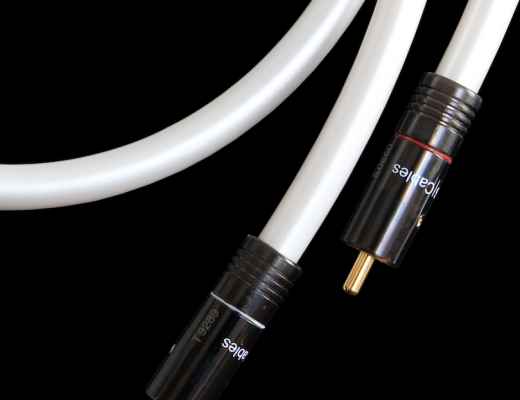 five unbalanced, one balanced plus both Moving Coil and Moving Magnet inputs) along with six digital (a pair of coaxial and optical plus USB and a proprietary MCT input for use with McIntosh SACD/CD transports). 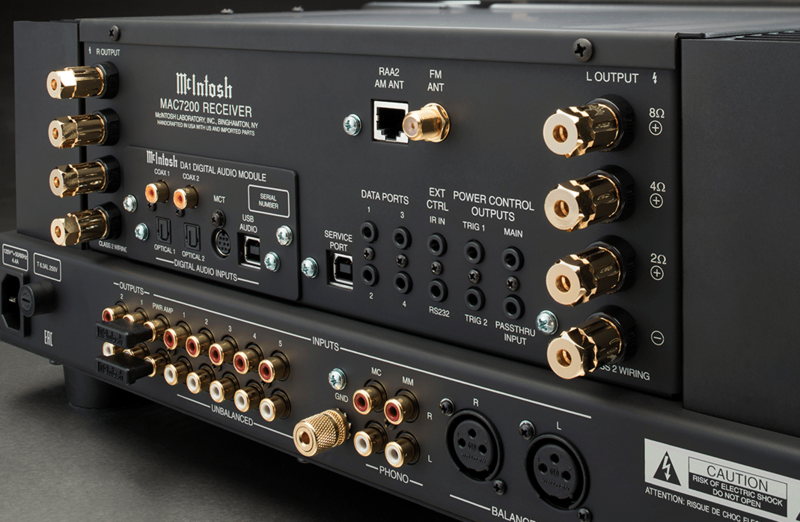 The digital inputs are housed in McIntosh’s upgradable DA1 Digital Audio Module, which can be replaced by future modules to keep the MA7200 current with the latest digital audio technologies. 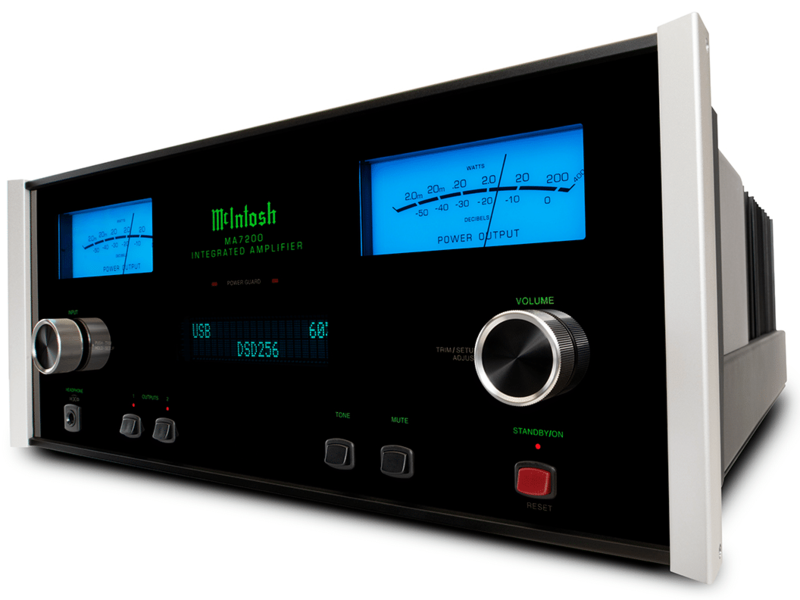 The DA1 comes with an 8-channel, 32bit DAC used in Quad-Balanced mode. 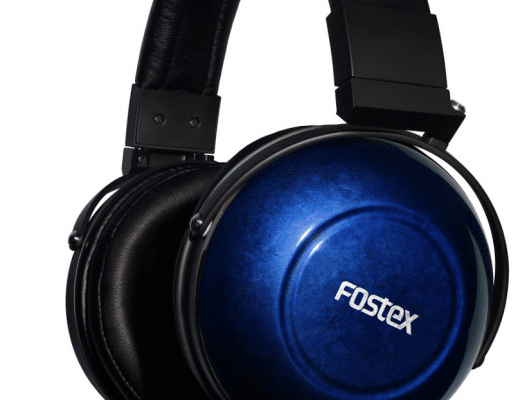 The USB input accepts PCM signals up to 32bit/384kHz and supports up to DSD256 and DXD 384kHz. 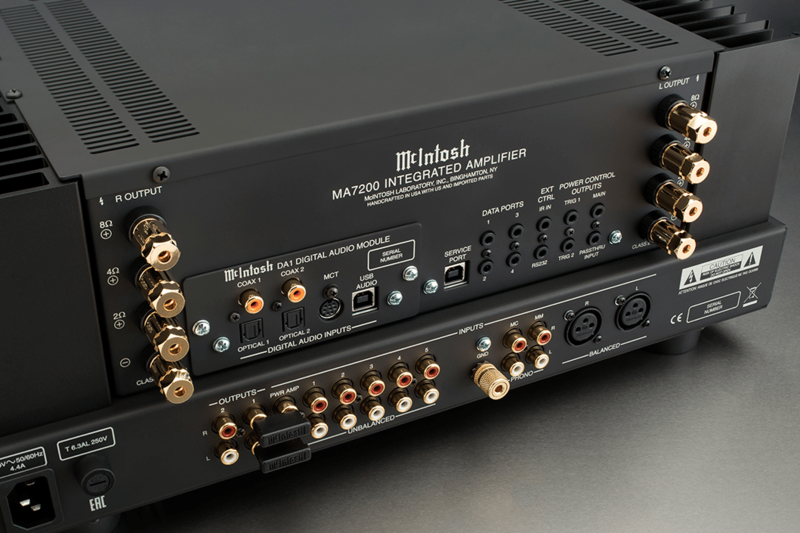 McIntosh’s Headphone Crossfeed Director (HXD) technology is included along with Autoformers to deliver the full 200W from any of speaker regardless of impedance, Power Guard, Sentry Monitor and Home Theater PassThru. 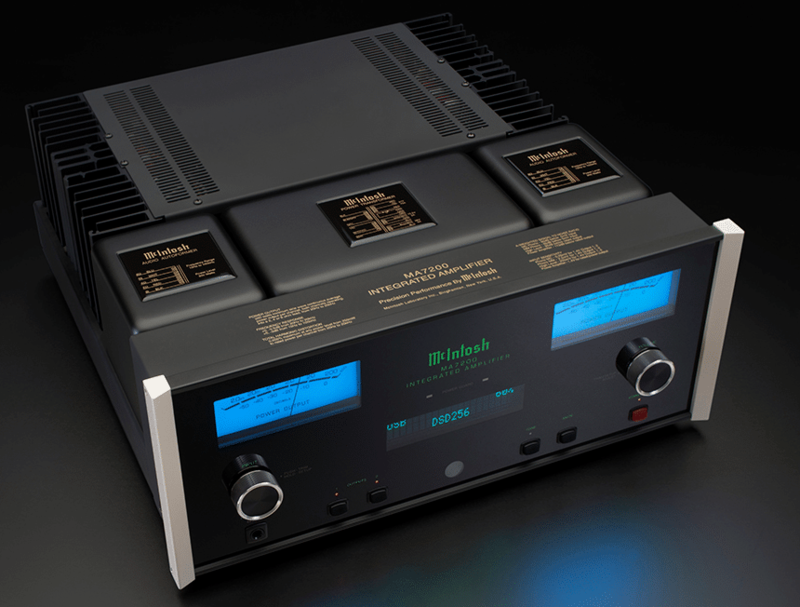 The unit also features McIntosh’s new Monogrammed Heatsinks, bass and treble tone controls, High Drive headphone amplifier and gold-plated speaker binding posts. 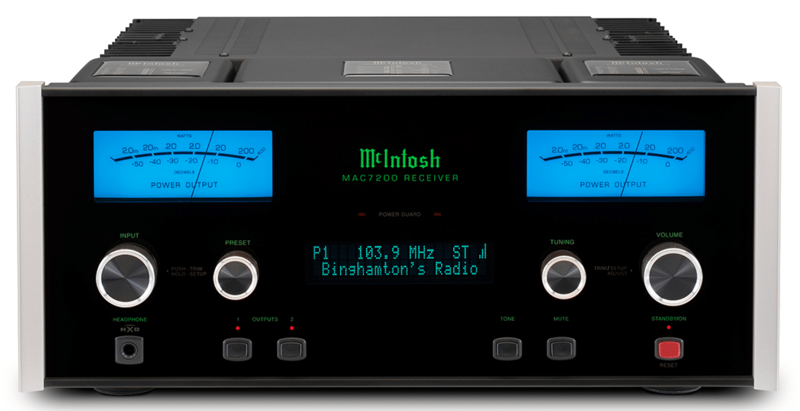 The MAC7200 receiver adds a built-in AM/FM tuner. Dedicated preset and tuning knobs join Radio Data System (RDS) support, allowing it to display optional information sent by radio stations. 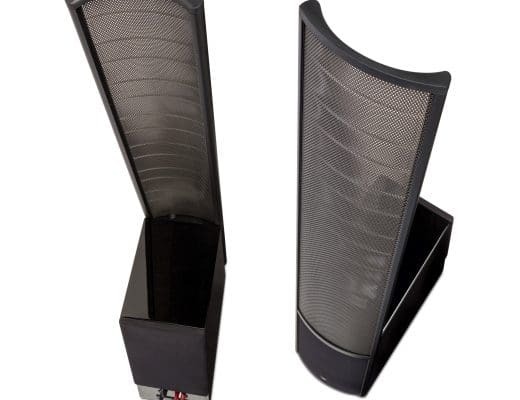 It features 20 presets for each radio band as well as a remote AM antenna. Prices? The MA7200 is £9,500 while there’s a TBC stuck on the MAC7200.